The United Nations estimates by 2050, 66% of the world’s population will live in urban areas. And yet, though population numbers keep increasing, traditional food production is unable to keep up with the growth. Enter vertical farming, the practice of producing food in-doors as vertically stacked layers. It allows for control over all environmental factors through a combination of indoor farming techniques that control the environment crops are grown in. This allows for crop production all year round, irrespective of the weather. 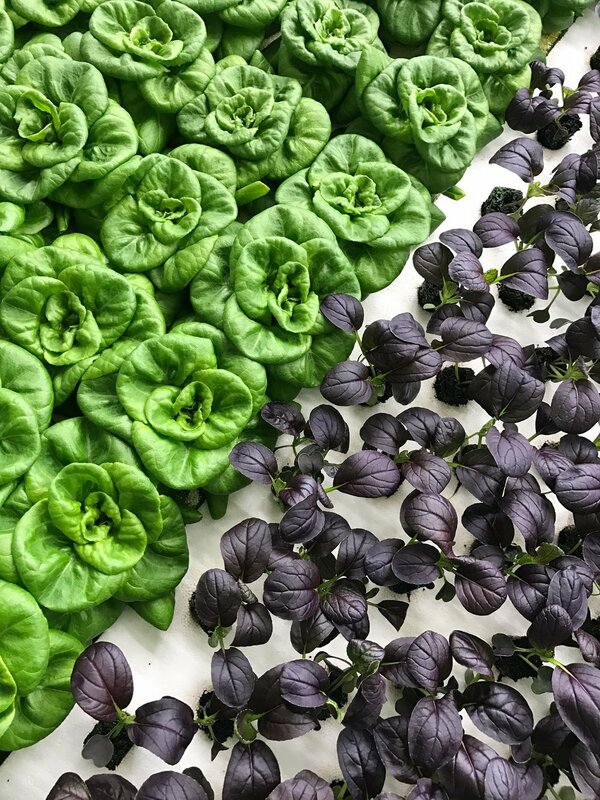 To find out more about how the young industry of vertical farming is making an impact, we reached out to Irving Fain, CEO & CO-Founder of Bowery Farm. Bowery Farm is a modern farming company that uses vertical farming techniques, including LED lights that allow them to mimic natural sunlight, to produce over 80 different varieties of greens under controlled environments. Their products range from baby kale to mustard greens, and arugula. Founded only in February 2017, Bowery Farm has already raised $7.5 million from investors and, since this past February, has available products at select Whole Foods Stores in New Jersey and Foragers in NYC. Fain believes there are a number of differences between Bowery and other indoor farming operations. He believes those differences explain how Bowery is quickly rising to a leading competitor position in the market, despite their relative youth when compared to competitors. Firstly, their growth system uses a unique combination of automation and proprietary software, which they call FarmOS, to grow the purest produce imaginable in a highly scalable and economic way. FarmOS leverages advanced vision systems, machine learning, and an extensive sensor network to provide complete visibility into every stage of plant growth. This allows them to continuously monitor the health and quality of their plants. By monitoring the growth process and capture data at each stage, Bowery Farms are able to give their crops exactly what they need, and nothing more. With all of this technology, Bowery can compete not only with other indoor farms, but also with produce grown in the field. Unlike traditional produce, they grow year-round, regardless of weather conditions or seasonality factors. Fain addressed the concerns held by many when talking about crops that are produced in an unconventional setting, and how to guarantee freshness and quality of produce. To do this, Bowery Farm has created the “ideal conditions for growing the safest, purest produce imaginable”, Fain said. They are able to do so because they grow close to the point of consumption, enabling them to deliver produce at the height of freshness, flavor, and nutrition; “food you can feel good about eating”. Unlike organic producers, Bowery Farm does not use any pesticides, and controls the entire experience from seed to store to ensure freshness and quality. Fain also went on to explain that Bowery Farms is working hard to “re-think the current agricultural system, bridging the gap between the world’s oldest and largest industry and a future where technology can be used to solve our hardest problems”. Some of the biggest concerns include world supply of food, and the rise of concern over environmental impact and destruction. Fain explained how some of the most effective benefits the world could gain from increasing urban and vertical farming are environmental. Bowery Farms uses “95% less water” and is “100x+ more productive on the same footprint of land”, allowing them to produce food that’s better for us and our environment. Bowery is only one of the many high-tech urban farm start-ups that have emerged in recent years. However, it promises to be leading the charge towards an increasingly environmentally conscious, and prosperous society. Right now the company is focused on their first farm in New Jersey, whilst starting to plan for their next one. However, when asked about the next steps in the future in regards to Bowery Farm expansion, Fain stated how they plan to continue to build additional farms to scale their operations, but not at the expense of quality of produce.